When to harvest marijuana plants? The harvest of marijuana plants is one of the most expected moments for any grower, who virtually enjoy the fruits of their labor after several weeks of hard work and impatience. The big question for the vast majority of growers at late flowering is: When to harvest my plants? This question can have several answers, depending on the growing conditions and our personal needs. When we purchase a pack of seeds, it usually comes with an aproximate harvest date, which is the first reference that we must keep in mind. 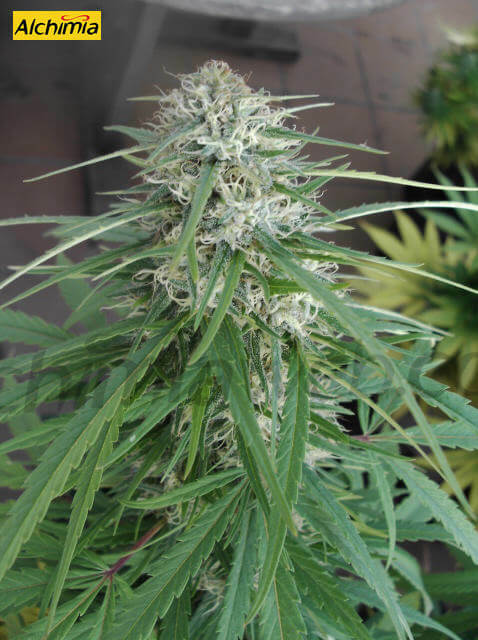 However, this recommendation, while being important, is merely orientative, since the flowering period and hence the harvest date may depend on several factors such as latitude – outdoor growing – phenotypes or growing conditions/systems – specially indoors . One of the first symptoms of the ripening of the buds is the colour of their pistils. They get brown as they ripe, so when half of them have become brown the harvest time is near; if we harvest the plants at this moment, their effect will be more psychoactive, while if we wait a few days and harvest them when all the pistils are brown their effect will be more narcotic. 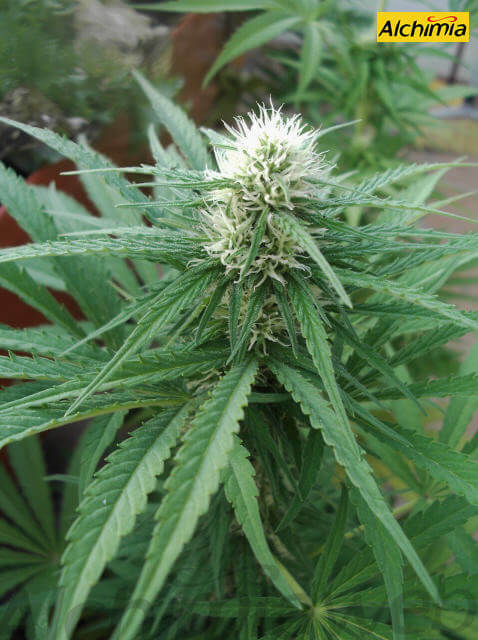 In some cases this system may be misleading, since rain, drought periods or strong and dry wind can also make the pistils of our plants turn brown. For this system, we need a magnifying glass of at least 10x, although the ideal would be 50x. With this tool we will be able to observe the development of the trichomes, which is the best way to know exactly when to harvest our plants. When the bulbous heads of the capitate stalked trichomes turn milky – and about 20-30% of them turn amber – it is the perfect time for harvesting our marijuana. As we already mentioned, this is the best method to determine the optimum point for harvesting our cannabis plants, although combining all methods is ideal. Once the harvesting date has been set, we will choose the moment of the day with the lowest relative humidity and proceed to cut the plant. We can cut the entire plant or the branches – what suits us best – and then we will trim the buds , removing the largest leafs and those without trichomes. Place the buds in a cool, dark, ventilated area to start the drying process. i would love to buy seeds from you guys. i live in western,Ky. please give me a call anytime. @ 270 879 3586. or email. thanks. btw i think you guys are some of the best out there. keep up the good work…jeffrey. What you say is called revevgetation or replanting, and it is something that many growers do when they find a nice female but they have no clones of it. You just let it finish its flowering, cut almost all branches except a couple of small shoots on the lower part of the plant, change the photoperiod to 18/6 and start giving it more Nitrogen. In some days you’ll see new leaves growing curved and with strange shape; in 2-3 weeks your plant should start growing normally again. You should fix the snapped branch by using some kind of stick attached to it. Also, you can try to use a healing agent for plants. 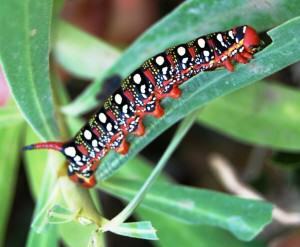 The leaves of the snapped branch will indicate you if it is healing or not: If – after 2-3 days – they seem dead, then the branch is dead, so just cut it and dry it as if it was ripe. I’m 69 years old, and have had over 50 seasons, and harvests indoor and outdoor in my life. Sometimes several harvest the same year with indoor and outdoor gardens. I have been looking at trichomes to decide ripeness before harvest since 1978. I have rarely, which is to say, almost never seen plants, especially outdoors in northern California get ripe all at once. ie. ready by looking at the trichomes, should be taken on a given day. If the entire plant is harvested when some of the big obvious branches are ripe, then up to 70% or more of the plant is being harvest before it’s time when the entire plant is taken at once. You are losing overall quality of your product, and reducing the average strength of your buds. The boutique harvesting branch by branch as they are ready is the only way to get the absolute strongest buds from your harvest start to finish. I absolutely agree with you, harvesting the whole plant at once is the best way to have lots of non-ripe buds, especially when growing outdoors. Yes, it is done in the same exact way. You can use drying racks to save space. If you snap a branch by accident, prop it up and use medical sticky tape (the sticky tape that’s also used for bandages) and carefully fix the branch in its original position with the tape. There are two outcomes: You can save the branch and it will entirely heal in one or two weeks…or the damage was too big so the branch won’t heal and it will die in a few days. I just snapped a branch by accident last week, it almost ripped off from the main stem…I immediately fixed it like I described and the branch and the buds on it etc. look fine. Fortunately, cannabis is a plant that recovers very fast when properly treated. You can also splint the branch with plastic strips and use some healing agent for plants if necessary. Also, and for he first days, you can spray the top of the branch to hydrate the foliar mass (again, if necessary). Hi I was just seeing if you could help me out, I have a plant (my 1st one ever) an people keep saying it ready or it’s not. As its my 1st time I was seeing if I sent a photo could you help?? Seeing a picture would definitely help, although it also can be difficult to tell unless you can send us a picture of the trichomes. 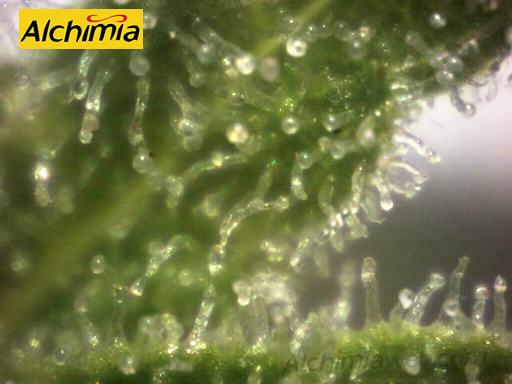 If you have any kind of magnifier – approximately from 40x – you can actually see the colour of the trichomes. The more amber the colour, the more ripe the gland. Most people harvest their plants when almost all trichomes are turning from milky colour to slightly amber. If you see clear trichomes with your magnifier, or basically only white pistils with the naked eye, then it means your plant needs few days/weeks to finish. I was ready to harvest one of my plants today, but notice that a lot of the branches are putting out new growth, bright green, with buds forming that have the white “hairs” — the rest of the plant is ready — what do I do? I guess your plant is outside. Some strains are known for constantly developing new hairs and buds (Matanuska Tundra,…), even when the plant trichomes are ripe. If your plant has not suffered any kind of light stress lately, do not trust the hairs and check the trichomes, they will tell you if your buds are really ripe or not. Oftenly, growers harvest their plants when almost all trichomes are turning from milky to amber colour. Also, it is common practice to harvest only the parts of the plant that are ripe, and leave the rest until it is mature enough. Sometimes, seed banks are a bit too optimist with harvesting dates. It could be possible that, while they say 8 weeks, your plants take 9 or 10 weeks to ripe (harvest dates are always approximate). I’ve never used fluorescents to bloom (always HPS), so I don’t know if perhaps they could delay ripening a few days. You can put your plants under a 10-14 photoperiod (10 daily hours of light) for the last 2 weeks to accelerate ripening. Also, try to check the trichomes of different parts of your plants. Normally, and unless they are really small, plants don’t ripe their buds at the same time, so perhaps your tops are ripe while the lower buds need some extra days. This is my second grow, only 4 plants, waiting for a little more Amber color in the thingys. Very close. One plant that happens to be in a smaller pot, has new growth on top. Have I waited too long? Help please. I purchased some train wreck in Colorado,found 4 seeds in the container and planted 3 of them,2 plants seem to be the same in hight and one is shorter and bushy,am into week 5 of flowering, one tall one and the bushy one have tricomes since week 2 they other nothing yet, is this natural? Yes, it is natural. What you are observing is phenotypic diversity. Not all plants grow the same way even if they come from the same parents, and each of them expresses a certain phenotype, a certain group of traits (growth pattern, bud production, resin production, vegetative vigour, etc.). That is why selections are made, there are always better individuals than others, so people keep the best one as mother plant. The more stabilised the strain, the more common traits you’ll observe among your plants. A plant in vegetative state is not producing nodes in order to clone it. Is there any other way to clone without sufficient number of nodes? All leaves and sub-leaves are attached to the stem itself. The nodes are at the intersection of the fan leaf stem and the main stem. Thanks for your help. Oh, the plant is in its 5th week of veg. Thanks! Hi i am a total novice when it comes to growing bud. I live over in England and have been growing a couple of plants outdoors for a few months now, all seemed fine untill closer inspection revealed that both my plants have started to produce seed pods. I was sure they were female as I have seen male plants before and these look nothing like them. I am guessing I now have hermi’s but all this info about removing bananas and pods is really confusing and sounds like a lot of work thats not guaranteed to work so my quest is.. are ny plants ok to be left and will the bud thats on there be alright to smoke??? many thanks to you all? If a cannabis plant develops both male and female flowers it is called an hermaphrodite. It may happen that a female develops a few bananas, which may be fertile or not. If they’re fertile, they’ll release pollen and pollinate the female flowers, which will start to develop seed. A few fertile pollen sacks can pollinate a whole plant, that’s why people normally remove them. Still, it can be a hard task with poor results, and most times the plants develop lots of seeds. If your plant is already developing seeds it means that it was pollinated a few days/weeks ago, so your buds will have some seeds in them. Seeded buds are smokeable, but less tasty and potent than sinsemilla buds. In the future, always keep an eye on your plants when they start developing buds. If I have to grow just a couple of plants, I’ll germinate 4-5 and wait until they start flowering. Pretty soon I’ll be able to determine which ones are the best two plants (nice structure, no hermaphrodite traits, etc), which will be kept until harvest. I just get rid of the others or give them to some friend. i’v been growing outside in Colo. or years , and I noticed seed pods on two plants, i see it as future growth, I have heard that once the seed matures the strength of the buzz weakens. i have been smokin pot for 48 years, in the olddays there were always seeds. the batch that seeded was tranplanted from indoor grown seedlings planted in mid may,the’ve been outside since 8/1 in green houses, they are 8 ftrs & in the first stage of juicing up as i call it (trichomes). While I’ve smoked delicious seeded buds during the years, normally both potency and taste weakens in seeded plants. Instead of focusing on producing terpenes and cannabinoids, the plant produces seeds. That’s why the “sinsemilla technique” was developed, to achieve the best possible quality on all aspects. From what you say you did everything correctly, so I guess these two plants have hermaphrodite traits. The problem here is that these plants may pollinate your whole crop, so removing them would be ideal. If you can’t, try to remove the pollen sacks manually. I’m a first time outdoor grower in Colorado and have three beautiful lemonhead plants that have gorgeous buds on them and now I’m watching the trichomes to see when to harvest. After reading through these posts, it does make sense that not all the buds will mature at once so my question is, when harvesting the tops of the plants, do you just cut off the top part of the plant that has matured and leave the bottom to mature further? Do I need to do anything to the cut portion of the plant that remains in the ground to seal or protect it? Thanks for all the great information! Normally, large plants are gradually harvested as buds ripe, no problem about it at all. Just cutt off the ripe tops and leave the remaining branches to mature. Hi Ive been growing cannabis for a few years now and a lot of my tops on outdoor buds seem to be maturing a lot faster this year is it too early to pull even though I see about 25% ambers or should I go ahead an pull tops an let bottom mature more. Strains are Skywalker og and harlequin…. Thanks all the best. No problem about harvesting the tops and letting the lower parts mature, many growers harvest their outdoor plants like that. Many farmers use dehumidifiers in their drying room, no problem at all. Just remember a couple of things: most dehumidifiers produce heat, what can be a problem depending on room temperatures. Also, try not to dry your plants too fast; they should be properly dried in about 15 days from harvest, then you can start the curing process. I need a straight answer. When my Trichomes are milky white may I harvest? 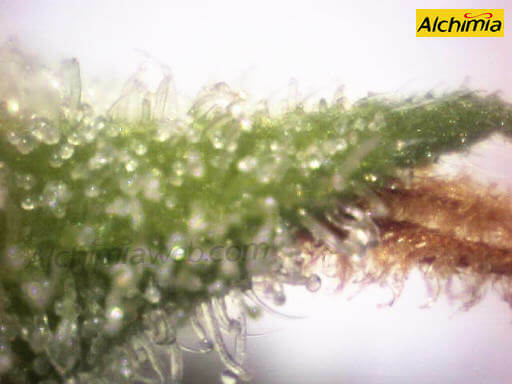 Usually, we harvest when we see around 30% amber trichomes. Still, if you want a more cerebral effect, harvesting with white trichomes is perfect. It all depends on the strain you’re growing and the desired effect once dried. I have a couple clones rooting in water that now have roots on them. One of them has lots of roots but the leaves have died. What will happen when I plant the roots? Also, how long should the roots be before I plant them in soil/perlite? Thanks! I don’t like rooting in water, the few times that i’ve tried I’ve found more problems than with the normal technique. As soon as the roots are about 1 inch long you should transplant them so they can grow properly. Keep in mind that roots HATE light! If the lower leaves have died, remove them and try to put the whole stem into the soil when you transplant, so only the healthy leaves are visible. In this way, more roots will be created were you had the leaves that died. Great! Thanks for your quick reply. On one of the rooted clones, there are no healthy leaves at all. I can plant the entire stem–will I ever see anything coming from it? Should the soil I use be the same as planting a seed or should I plant it in soil that has nutes? After I plant the roots in the soil, how wet should I keep the soil? I am just learning and in the future hope to use the normal technique for cloning. I assume the rooted clone with no lower leaves has the apex intact. If that’s the case, plant the whole stem and you’ll probably see your cutting growing in a few days. About the soil: it all depends whether you’re using liquid nutrients or not. If you’re not using liquid nutes, add some solid organic nutrients or get a soil rich in nutrients. Once planted, the soil for your clones should be wet but not soaking. Cannabis will die in dry soil, but it doesn’t like too much watering. Here you have an article on how to water cannabis plants. Roots coming out of the rockwool cube will probably dry out and die, although it shouldn’t represent a problem. As long as your plants are properly watered, they’ll keep on growing until you can put them into your nft system. If necessary, you can even prune the roots when transplanting. I wouldn’t raise them, I really don’t see the need (especially when you’re soon transplanting them). About the two extra hours of darkness, no problem at all mate, go ahead! I should be seeing your plants to judge, but from what you say (3/4 white 1/4 amber) I would harvest now. Keep in mind that you’ll always spot some clear trichs here and there, but if the vast majority is white and some of them amber, it is harvest time! And do not worry about the timer. It should have been on for 30 minutes or so for your plants to detect it was day time. As long as your plants are healthy, do not worry about the roots coming out of the rockwool cube and dying. They’re just being “naturally trimmed” by the action of light and air. As you say, new roots will keep on growing until they find a nice place to expand. Simply continue watering your plants and transplant them as soon as you can. First of all, sorry for the late reply, I’ve been on holidays for some days. If you top any branch of a cannabis plant it’ll develop two stems where it had just one. The more you top the plant, the more branches you’ll get. It’s one of the many techniques used when growing cannabis, especially when using the SCROG method. These white hairs you see are called pistils and are part of the female flower (they catch the pollen released by the males). As the flowering period advances, you’ll see how more and more pistils are produced at the same time that flowers get fatter. Pistils will turn orange/brown as the flowering progresses, which is one of the aspects to take into account to know when to harvest cannabis plants. Also, what exactly are the bunches of white hairs? Lol when I said first time…. That’s what I meant! I hope you will get back with me soon. I am so green at all this! I am new to this growing process and first time around I have 2 female plants growing outdoors in Southern California. Soon to be approaching harvest time and studying these posts to learn more about when to harvest. Both plants presently are thickening but not yet amber pistils. But one of the plants made me nervous because Its buds and leaves underneath the bigger ones, where there is not so much sunlight started to dry up all on the inner part of plant. The outer part that has much light is green and normal looking. But I am afraid the drying part will move its way up to the green or is this maybe a sign that the outer parts will soon be ready. Just wondering and trying to understand what the plant is saying. Other question…when I complete the harvesting process then does this plant come back to grow again next spring? Should I do something to it while it continues to live outdoors? Or will it die. Okay thanks for your help. Hi Beth, thanks for your comment, it’s great that you’ve started your own grow. Outdoors in So Cal, wow, you’ve got a great climate there! As for your problem plant, well the first thing I’d do is to remove all the dried-up leaves and buds and dispose of them. Without seeing the problem, it’s hard to know what the cause might be, it may be some kind of fungus or the effects of an insect parasite or it could be caused by stress due to over or under-watering. If, as you say you’re near harvest, probably the best thing to do is keep a close eye on the plant, removing any more dried up leaves as they appear to help to stop the potential spread of the problem. I don’t recommend spraying any insecticide or fungicide at this stage in the plants life, so close to harvest, however a irrigating or spraying (or both) with aloe vera juice will help to give a boost to your plants health and may help it fight any infection. At the same time make sure you’re not giving too much water, or conversely that the soil hasn’t dried out completely. I’ve found ants nests among the roots to be the cause of more than one sickly plant, so keep an eye out for those little guys too. As for your second question, the plant will most likely die off after harvest! Naturally cannabis pants are annual plants, they are born, grow, flower and die over the course of one year. There are ways to trick the plant into growing again the following year, but it’s not going to be easy with an outdoor plant. If plants are in pots, we can do it a lot easier, simply leave a few lower buds and healthy leaves on the plant when you harvest, then take the plant indoors, somewhere sheltered where it won’t feel any frosts, and give it a 18/6 light cycle for vegetative growth. This will cause the plant to re-vegetate, slowly changing from the flowering stage back to growing again. The time this takes, and the success of re-vegetating will depend greatly on the genetics you’re growing. In my experience, sativa-dominant plants are easier to re-vegetate while indicas can be slower to respond to this change in light period. In any case, I’d recommend starting again next year with new clones or seeds. Re-vegging is a stressful process, not only for the plant, but for the grower too, and the results aren’t always ideal so it’s only really worthwhile for those very special plants that we absolutely don’t want to lose! Happy harvesting! Tim, thank you so much for your reply and comments. I think this problem might be from ants as you mentioned. I saw some around where it is growing and they seem to be hanging out a lot over there. I really like the idea of aloe vera juice…will do. And thank you for the info on regrowth. I just love that one plant in particular as it has grown so full and green and beautiful. It has been an interesting learning experience and one I will continue to explore. I do have one more question. This being an experiment was pretty rough. I started back in late January and February. I grew so many seeds in separate cups. I had a few germinate and most nothing. I had lots of seeds to try with. I then placed them under grow light but that didn’t help the growing process. I think I over watered them mostly. I had never had issues with growing from seeds before so I thought it strange, they must not like much water. I was about to give up completely but by then it was around end of May. I decided just to use the few seeds I had left by planting them as seeds outdoors. OMG it worked…I mean I planted about 10 seeds and saw nothing for a while till one day I noticed one of those seeds turned into a sweet little plant. I was so excited. It looked really strong and vibrant form the beginning. But the thing is I planted it far from the usual place I can check on daily, so I hadn’t even known it was growing for a few weeks. I thought about my experience with the over watering which made me paranoid of how much to water so I decided not to water it at all just to watch it more often to see what it might want. You can’t believe this….Ramona California way up high on a mountain top….this thing grew like a weed…haha….I watered it 4 times over the entire summer. It didn’t like the water. Every time I watered it , it would turn leaves yellow…4 times was enough to say forget watering…it will be my experiment. But then waiting forever to see if it was boy or girl…studying online to be sure what to look for. Then one magical day she revealed herself unto me. And alas…female she was, and without water she is strong and beautiful. I never actually researched how much water to give, I just wanted to experience this for myself. And she is really amazing and strong and I cannot figure out how she could be so full and vibrant with amazing buds etc…with almost no water. Soon to be harvest time, I am looking forward to that very much. I don’t really know the method of this growing process but seems that is a good spot for growing which I will try again next year. Anyway, so I am curious what are your thoughts about watering. Thanks again Tim for taking the time to reply! Happy harvesting to you as well! I’m growing Maui and they’ve been flowering for only 4 weeks and some of the pistols are already turning red/brown….why are these maturing so quickly? What should I do? I don’t see lots of trichomes yet. I defoiliated a couple of weeks ago to get light to lower buds but may have overdone it. Could this be effecting early maturing? Hi Don, thanks for the question. The pistillate hairs can turn brown for a number of reasons. The most likely reason is that they’ve been pollinated by some male flower, so have a close check for any signs of intersex/hermaphrodite flower development. Of course, that’s not the only possible reason, I’ve seen pistils turn brown early after foliar spraying Potassium Bicarbonate to help control Powdery Mildew. Other foliar products could have a similar effect too. Have you sprayed anything? It could also be caused by an excess of Potassium in the plant, a fungal problem in the root zone or even an infestation of mites. It’s not probable, but you may also find that it’s part of the plants’ natural flowering cycle, and that they will begin to produce white hairs again, and start a second phase of flowering. I hope that’s offered some clues, I’m afraid it’s hard to give a proper diagnosis without knowing all the factors involved. All the best and happy growing! Thx for the feedback. They have not been pollinated nor do I spray them. I’ve read so many differing opinions that I’m confused. Obviously I want maximum yield and potency but don’t want the buds to prematurely finish flowering. It’s way too early for this Maui strain. What should I continue to look for? I’m in the fifth week of flowering Maui and I’ve been looking for trichomes. Is it common for chomes to be seen on leaves before pistols ? Is something wrong or just a waiting game? Hi Don, yes, you should definitely be seeing trichomes in early flowering, I’d usually expect to see them from very early on. Sometimes they’re easier to see on the leaves than the flowers, but it’s on the flowers where you’ll find the greatest concentration. If it’s a real Maui strain, it’s a long-flowering plant so it could be that it won’t start to develop trichomes till later on, but the case could be that the plant is simply not very resinous. Is this the same plant you’ve already asked us about in earlier comments? It seems very strange to me that in the fifth week of flower the plant has brown pistils yet hasn’t developed trichomes yet. I’m curious, did you source the seeds from a reputable seed bank? Do you know who produced them/did the breeding on them? Hi guys! Ive been reading ever since we threw a seed in the ground and to our surprise it grew! Once we realized it was female we transferred it to a pot and started doing it right. The plant is huge with a ton of buds and pistils but it seems that each stage has taken 4x longer than it should have. Right now (we had to bring it inside a few weeks ago because this is mid september in northeast Ohio) it has maybe 10% of the pistils darkened but its been in this stage for 8 weeks at least. What am I not doing? I wish I could send pictures! Is this a loss? I noticed today that the top buds have a white mold looking fuzz? I pulled the dead leaves out to try to get a better air flow up there. Hi Jessica, thanks for your question. The pistils themselves aren’t much of an indicator of flower maturity. Sure, a load of fresh white pistils mean that the flowers aren’t ready yet, but in general we look at the trichomes (the resin heads) themselves to calculate when to harvest. It depends on personal taste, but I tend to harvest my outdoor plants when I see only a few trichomes turning an amber colour and all the rest are milky, with almost none clear/transparent. I’m sure after eight weeks, if you look closely with a magnifying glass you’ll see some amber trichomes. As for the mould, I highly recommend removing and disposing of any parts of the plants that have been affected, otherwise it stands a much greater chance of spreading to the rest of the plant and completely ruining the harvest. Removing dead leaves is always a good idea too, not only to increase air circulation but also because dead plant material will be a perfect breeding ground for fungal spores. All the best with the rest of the season, I hope your plant brings you much happiness!